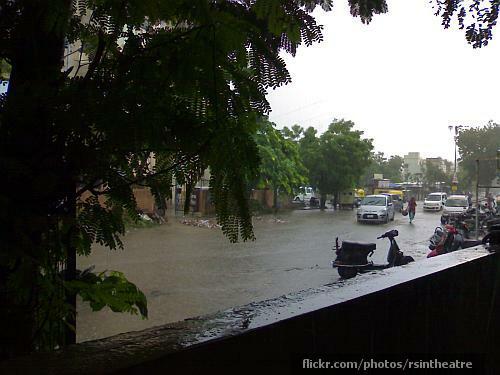 Monsoon has finally arrived in Ahmedabad at the beginning of the first week of July 2010. Somewhat late in the view of the fifty odd human and the numerous bird and animal lives already lost in the preceding May-June heat. Respite at last from an unprecedented heat-spell anyway, that lasted from the early March to June end. I myself got ill twice during the last four weeks and still not fully out of its shackles. Here is an amateurish video – taken from my aging Nokia N72 – of the same initial showers that finally brought in the much needed respite for my city.